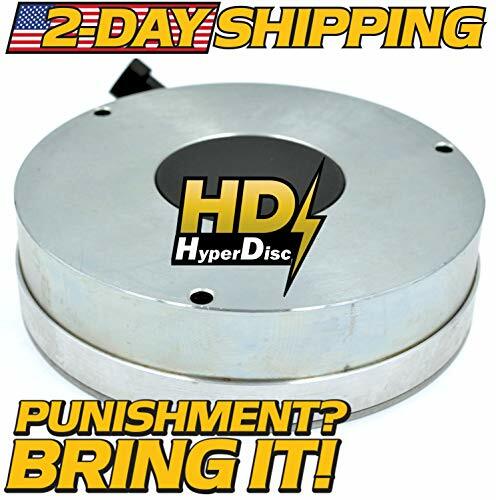 Our Re-Engineered HyperDisc Brake is finally here and will not crack under pressure! HyperDisc Proprietary Composite Brake Material is constructed in Layers to prevent premature cracking and Improve Shock Resistance. At the heart of the brake, we added more copper wire to improve braking power and efficency. Our poured composite coil (NOT PLASTIC) keeps the core running cooler. 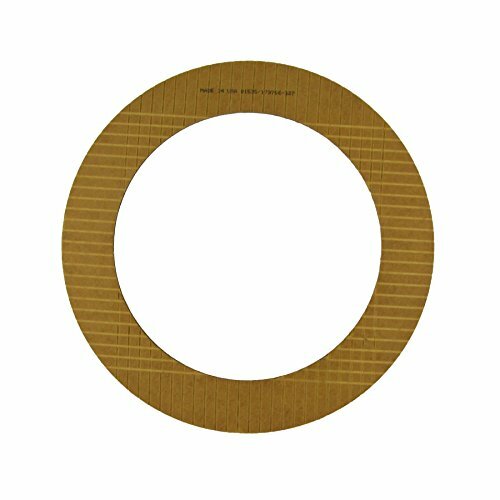 This product was heavily tested to ensure the highest quality product for our customers. Every unit is tested before shipped, Superior Quality Guaranteed ! Stens 285-927 Spindle Assembly, Husqvarna. 6 15/16" Height. Does not include blade bolt. Replaces OEM Husqvarna 539112170. Fits models Husqvarna EZ4216, EZ4217, EZ4220, EZ4624, EZ4819, EZ4822, EZ4824, EZ 5221, EZ5224, EZ5225, EZ5226, EZ6124, EZC4824, FD52M, FD61M, GT48, GT52, GTH26, GTH27 and GTH2752. High Quality. Made In USA! 0 Teeth OD: 7.50" ID: 5.39" Thickness: 0.128"
Alto Products Corp. is the oldest and largest independently owned and operated manufacturer of heavy duty friction material in the world. Alto is an ISO certified OE manufacturer of clutches and brakes for almost 70 years. Alto manufactures and distributes a complete range of heavy duty friction material and steel plates for on and off highway applications. All components are manufactured in-house in the USA. Quality is the cornerstone of customer confidence. Alto Products are engineered to meet or exceed customer satisfaction. The process begins with testing of all incoming materials, followed by controlled checks through all phases of processing, finished by a final check of each and every part. Our Statistical Process Control program ensures the integrity of every part. Quality, value, and service is our goal at Alto. Installing an Alto Product in your vehicle is not just the best decision. It's the only decision. Replaces OEM: Walbro: K10-SDC. 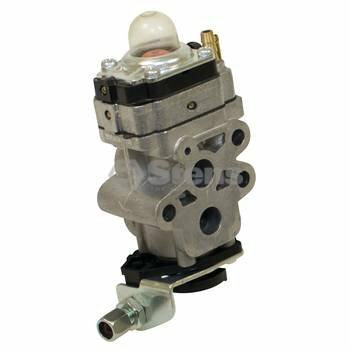 FITS MODELS: Walbro SDC carburetors. SPECS: Ethanol: Not compatible with greater than 10% ethanol fuel. 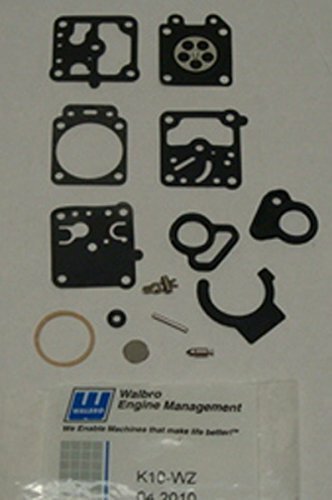 ADDITIONAL INFO: CrossSell: 615-534 Original Walbro equivalent 615-237 Carburetor Kit. 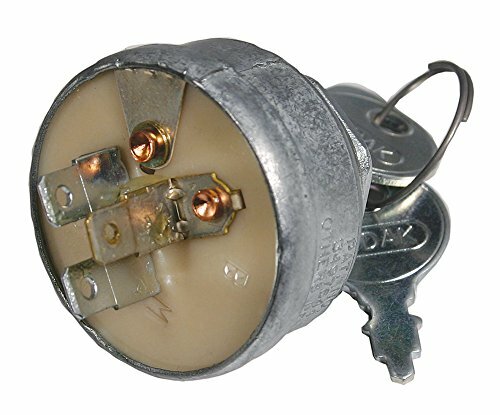 Replaces OEM: Snapper: 1-8816, 7018816, 7018816YP. FITS MODELS: Snapper series 6-11. SPECS: Ignition Type: Magneto, No. Of Positions: 3, No. 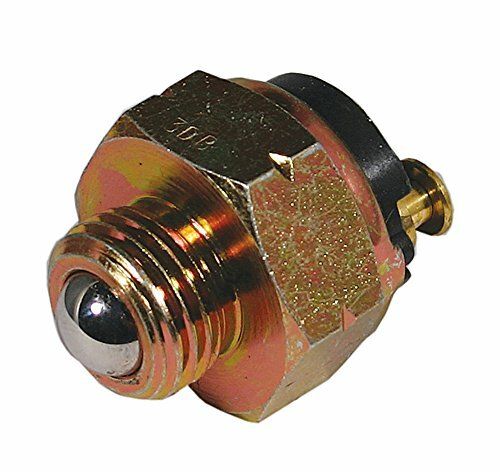 Of Terminals: 3, 5/8" mounting stem. Made by Indak. ADDITIONAL INFO: CrossSell: 430-144 Uses 430-009 Ignition Key. Replaces OEM: Club Car: 1020447-02. FITS MODELS: Club Car Carryall 294/XRT 1500, gas, 2004-2006. SPECS: Ignition Type: Battery, No. Of Positions: 2, No. 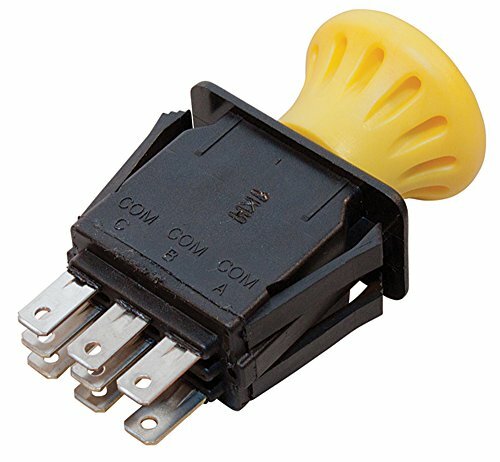 Of Terminals: 5, Made by Indak, For 12 volt key start, Includes 2 keys. ADDITIONAL INFO: CrossSell: 430-109 Uses 430-025 Ignition Key. 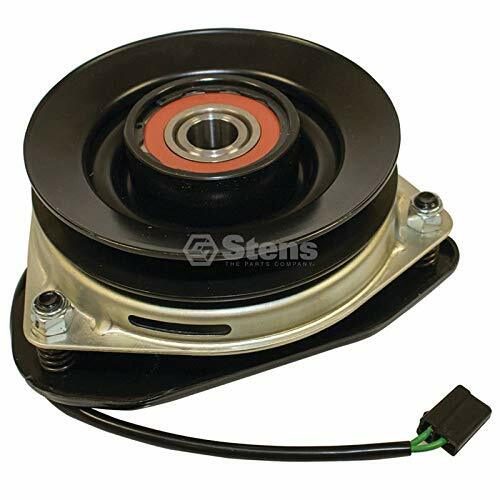 Stens 255-123 Electric PTO Clutch. 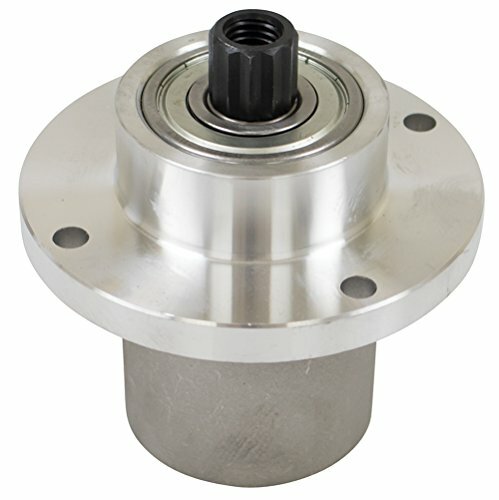 1" ID, 3 5/32" Height, 6" Pulley Diameter. For proper ordering, reference Warner or Ogura part numbers stamped on clutch. 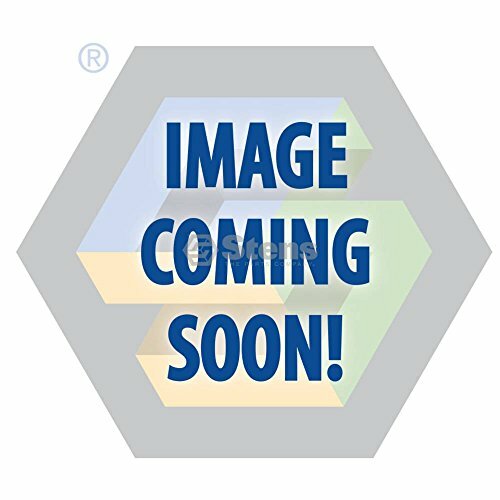 Replaces OEM Gravely 00200665, John Deere TCA20484, Ogura GT1A-HU02. Replaces OEM: Red Max: 511 35 16-01, 848-F08-8101, Walbro: WYA-53-1. FITS MODELS: Red Max BCZ2450S, EXZ2401S, HEZ2401S, LRTZ2401, PSZ2401, SGCZ2401S and SRTZ2401. SPECS: Ethanol: Not compatible with greater than 10% ethanol fuel. Packaging Type: OEM package. 1.Put your body in a totally relaxed status. 4.Lace and silk have to be spliced together to make the clothes very delicate. 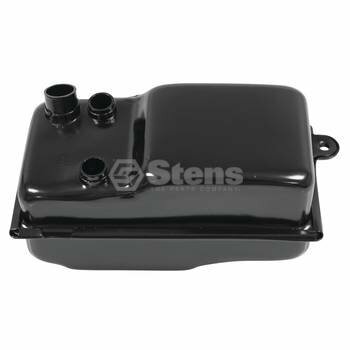 Replaces OEM: Exmark: 116-0124, Kubota: K3011-62301, Toro: 116-0124. FITS MODELS: Exmark Laser Z Serial No. 920,000 and higher; Next Laser Z Serial No. 790,000 and higher, Toro Z Master G3 series. SPECS: No. Of Positions: 2, No. Of Terminals: 8, Manufactured by Delta Systems Inc.
Stens 285-989 Spindle Assembly, Hustler. 5 1/2" Height, 5 1/4" OD. Replaces OEM Hustler 783506. Fits models Hustler FastTrack, Mini Z and Super Mini Z with 44" and 52" deck. 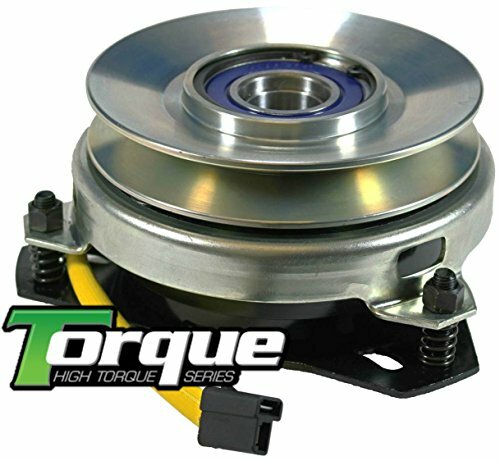 Xtreme Outdoor Power Equipment X0407 Replaces John Deere PTO Clutch for LX176 AM122969 - w/Free Upgraded Bearings !! This is an upgraded version of the OEM Clutch. Xtreme Mower Clutches, uses machined billet pulleys, upgraded bearings with high temperature grease, and a triple protected wire harnesses. The proprietary Xtreme Cool Coil technology reduces temperature to extend clutch life, and has a replaceable pulley bearing. Every Xtreme Clutch comes with a watertight integrated wire harness - PLUG and PLAY ! Xtreme Mower Clutches is a registered trademark of Extreme Mower Clutches Inc. (XMCI) of Boca Raton Florida. XMCI does not imply any association or affiliation with any OEM Manufacture including Warner Electric, Ogura Industrial Corp., John Deere, Exmark/Toro, Hustler, Husqvarna, Cub Cadet, or any of its associates or affiliates, trademarks or copyrights. 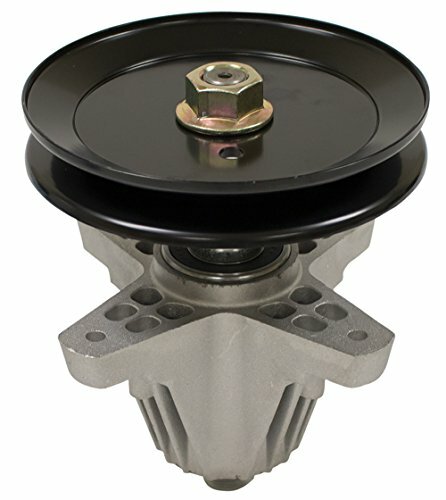 XMCI also states "OEM Upgrade" or "Warner Upgrade" only refers to the billet pulley, the use of stainless steel braking rivets, replaceable pulley bearing, Xtreme wire protection system, and Cool coil technology, most of which are unique to the Xtreme Mower Clutch product line. Replaces OEM: Walbro: K10-WZ. 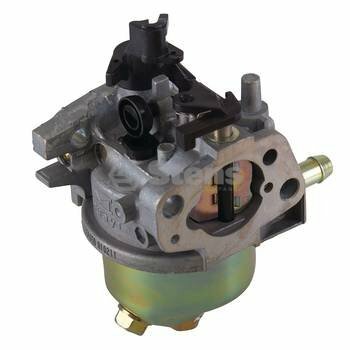 FITS MODELS: Walbro WZ carburetors. SPECS: Ethanol: Not compatible with greater than 10% ethanol fuel. 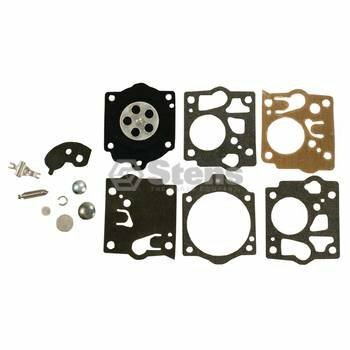 Replaces OEM: Gravely: 034640, Simplicity: 1654634, 1654634SM, Snapper: 1654634, 1654634SM, Toro: 28-4250. FITS MODELS: Gravely Pro Power, Pro Master and Pro; 2 and 4 wheeltractor units. SPECS: No. Of Positions: 2, No. Of Terminals: 2, 9/16" mounting stem, Normally closed. 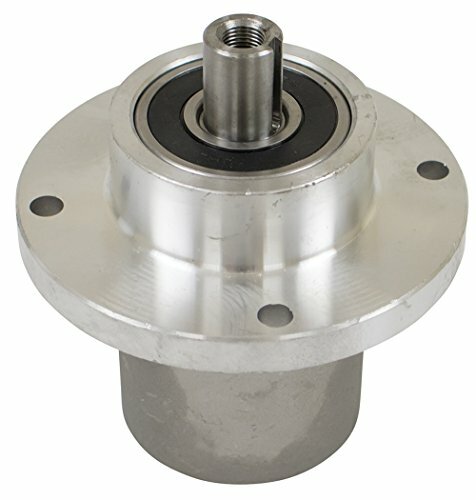 Stens 285-216 Spindle Assembly, MTD. 6 3/4" Height, 5 1/2" Pulley Outer Diameter. Includes nut, spacer and pulley. 6 point star design. No threads in housing, use self-tapping screws (not included). 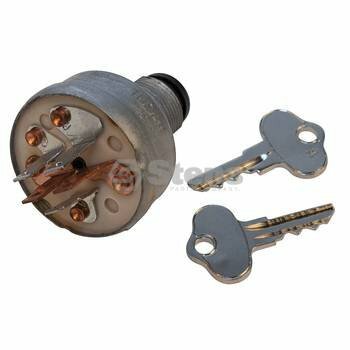 Replaces OEM MTD 618-06991, 918-06991. Fits models MTD most 200 and 700 series mowers with 42" deck. 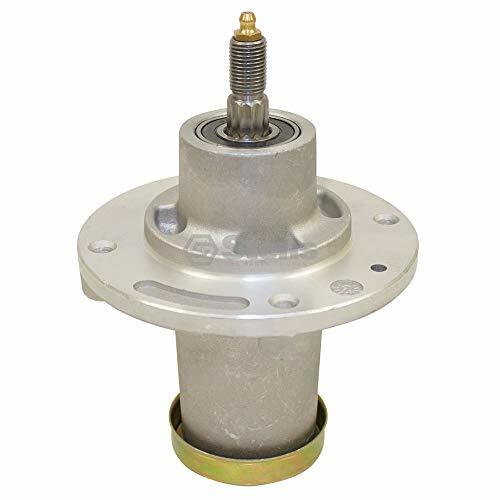 Replaces OEM: Cub Cadet: 751-10873, 951-10873, MTD: 751-10873, 951-10873. FITS MODELS: MTD 5P65M0B, 5P65M0C and 5P65MU. SPECS: Ethanol: Not compatible with greater than 10% ethanol fuel. Made By: An OEM supplier. Does NOT include gasket. ADDITIONAL INFO: CrossSell: 520-868 Includes 525-422 Carburetor Float Bowl Assembly, CrossSell: 520-868 Includes 525-663 Carburetor Float Set, CrossSell: 520-868 Includes 525-699 Needle Valve. Stens 285-101 Spindle Assembly, Bad Boy. 5 5/8" Height, 5 1/4" OD. Replaces OEM Bad Boy 037-2000-00, 037-2050-00. Fits models Bad Boy MZ. Stems 105-400 Muffler. Replaces OEM Stihl 4223 140 0601. Fits models Stihl TS400 Cutquik saws. Does not include spark arrestor.